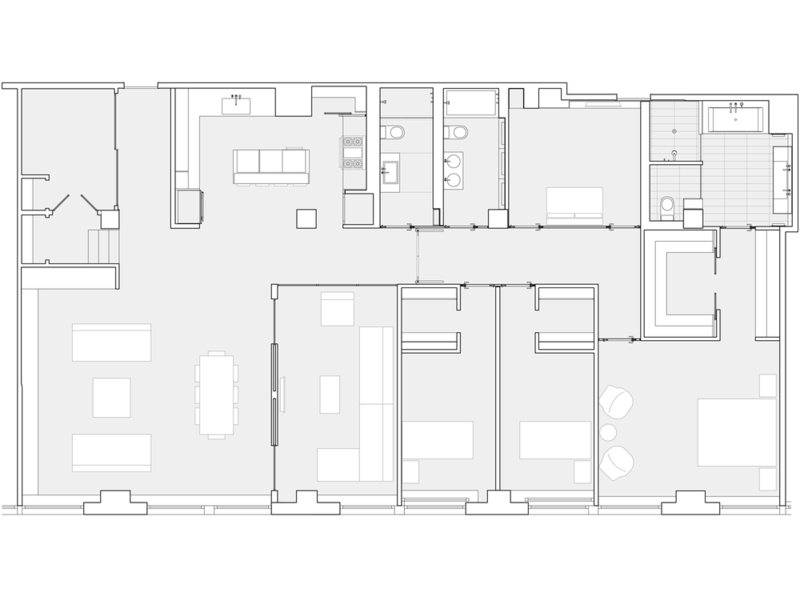 Two loft apartments were seamlessly combined to create a range of flexible living spaces for an active family lifestyle, while maintaining an open flow of light and space. Durability paired with a clean minimal aesthetic were key—with two young children, they wanted every room in the home to accommodate energetic play dates as well as elegant dinner parties. Through the thoughtful use of transparent and translucent materials, the design emphasizes an illuminated openness between spaces to achieve social and visual connections through the home. 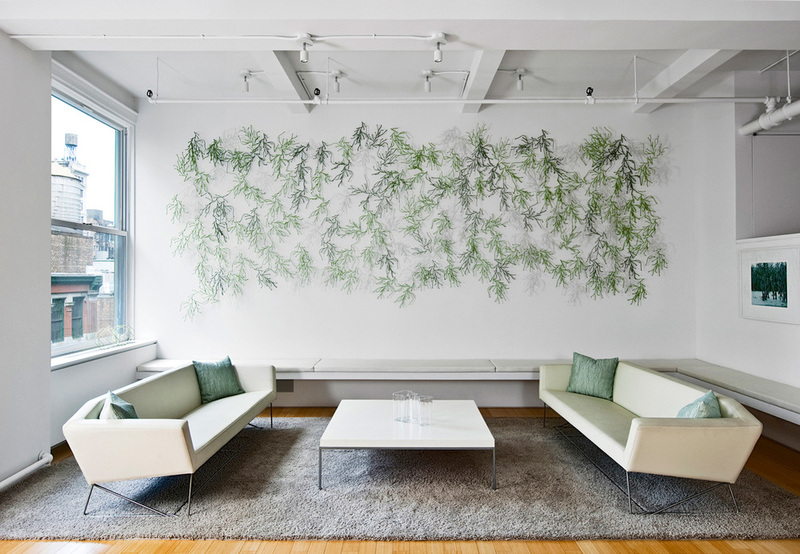 The architecture also creates a dialogue with their wide-ranging collection of contemporary art and design. 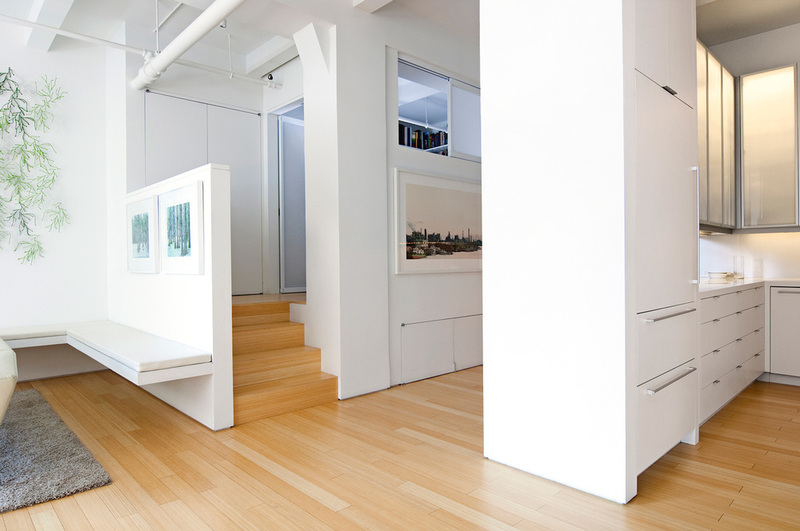 Glass and translucent acrylic transmit and reflect light in different ways throughout the loft. In the kitchen, the upper cabinets become lanterns of light at night; in the master bathroom, glass tiles reflect light to create a glowing oasis with a large soaking tub as the focal point. 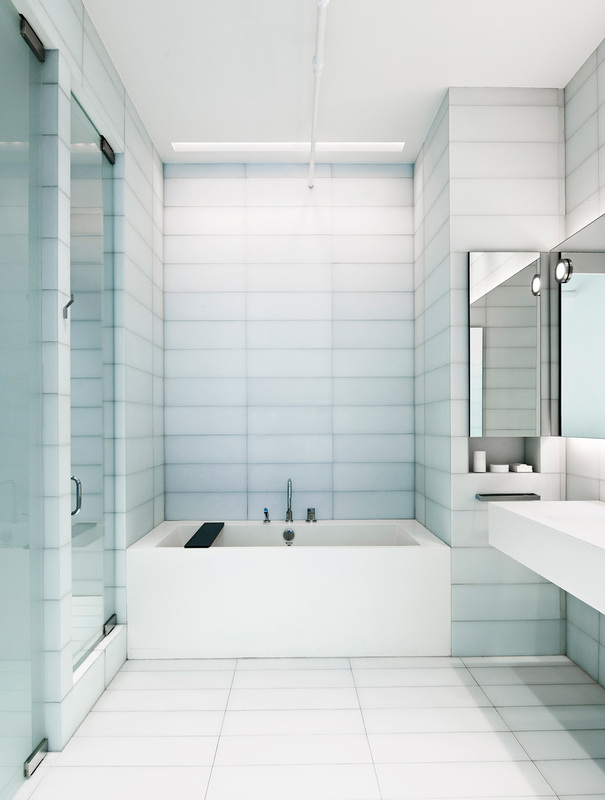 In the guest bathroom, glass paneled walls are juxtaposed with a crystalline stone floor and accent wall in the shower. 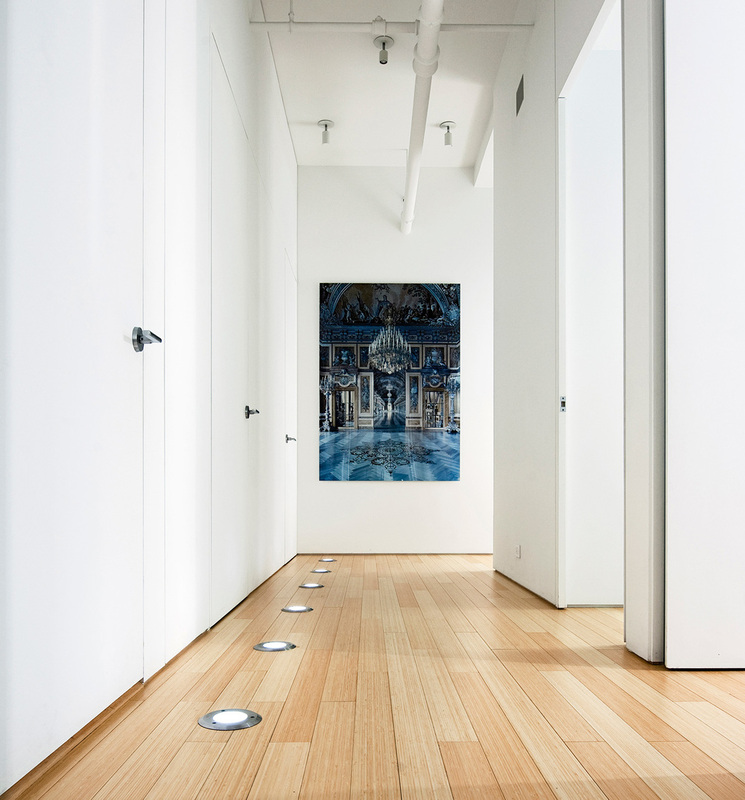 Bamboo floors bring in a natural warmth and texture throughout the apartment while custom resin cabinets and fixtures marry durability with a clean modern aesthetic. Click here to read the featured article in Architectural Digest.